Check AdvancedWriters.com and enjoy quality wssay writing services. Check the following service to hire the best essay writer for professional custom writing. As of February 9, 2019, this site lists 1254 state and local law enforcement officials from 510 state and local law enforcement agencies who have written 2777 police books. When we started working on Los Angeles Police Officers who had written books, we realized that many state and local police officers have shared their talent, experience and knowledge through books. And, what some amazing stories they have shared! 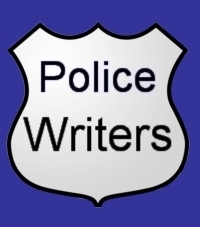 We (several police officers turned writers) kicked around the idea to create a website that hosted books written by police officers - but we had to have rules. The police officer turned author made probation. At a minimum this is the official bureaucratic measure of being a police officer. The police officer had published a book. We decided that since the 21st Century is here we would include - police officer blogs, police officer websites and police officer magazine articles. Quite frankly, we found that many police officers have launched interesting post career businesses. However, we are only going to list book authors by name and devote a webpage(s) to them and their work. Blogs, Websites and Articles are listed as a category. No charge for inclusion and no one gets turned away. Frankly, we don't always like what other police officers have written. Unless its obviously pornographic (we hope not), advocates the over-throw of the government; or, the return of liesure suits - its included. If you would like to be included or have a recommendation email the editor here or visit our Unconfirmed Research page. Editors Note: Many thanks to Richard Lynch for his invaluable assistance in tracking down so many of the police authors. Richard's father, Richard Lynch, Sr., was a 30 year veteran of the NYPD, retiring at the rank of Deputy Inspector. And, his father served with the Flying Tigers during World War II.